Online shopping with the app! Save time and money.Shop online for millions of products• Order, transfer, and track Rx prescriptions and refills with Walmart Pharmacy.• Order wall art, blankets, posters, and cards with Walmart Photo Print.• See and then shop available items. With Item Finder, we’ll show you exactly where to find the best location to buy your items at the store.• Even create and share your Baby Registry with the Walmart app.Shop online hassle-free• Free shipping with no membership fee! Look no further for other shopping stores, get millions of items delivered in as little as 2 days. Details below*.• Online shopping at your convenience. Faster pickup at the store! Check in from your phone.• Easily reorder the essential items you’ve purchased at the store and online.Savings just a few taps away• Use your phone to find sales, deals & discounts. Pay in store quickly and safely with Walmart Pay.• Savings on top of savings with Savings Catcher! We compare your eligible in-store purchases for you. Any difference from lower prices in your area go on an eGift card.•Transfer money without the long wait or the paperwork! Instead, use the app’s Express Money Services.Save money. Live better. 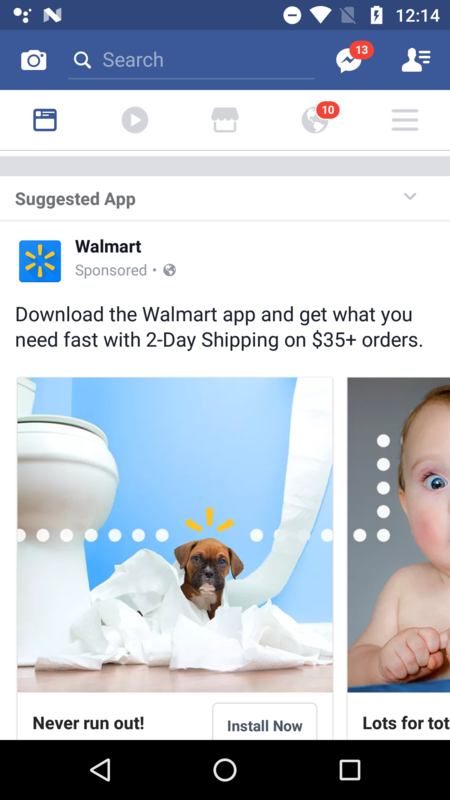 Download the Walmart shopping app today. *Free shipping info: Orders placed before 2 PM get free shipping within 2 business days, not including weekends and holidays. Eligible items only. Min. order $35.